Ahh, it's Wednesday. Hump day. Mid-week slump. What better way to spice up the mid-week than with Writer Chat Wednesday? Last week I announced my commitment to bringing you video book reviews on Fridays. I'm also starting a weekly segment called "Writer Chat" each Wednesday. I've lined up some great writers to chat it up with in the coming weeks, including Jason G. Anderson, Addison Moore and Joanna Penn with many more to come. Stay tuned for writer-to-writer talks (some via Skype) with some of today's best-selling and up and coming authors. Have a great hump day and happy sailing toward your weekend. I'll be away this Wednesday so this week I'm reposting a writer chat with Tamara Rose Blodgett that I did last year. I'll have to chat with her soon to catch up on her newer releases! 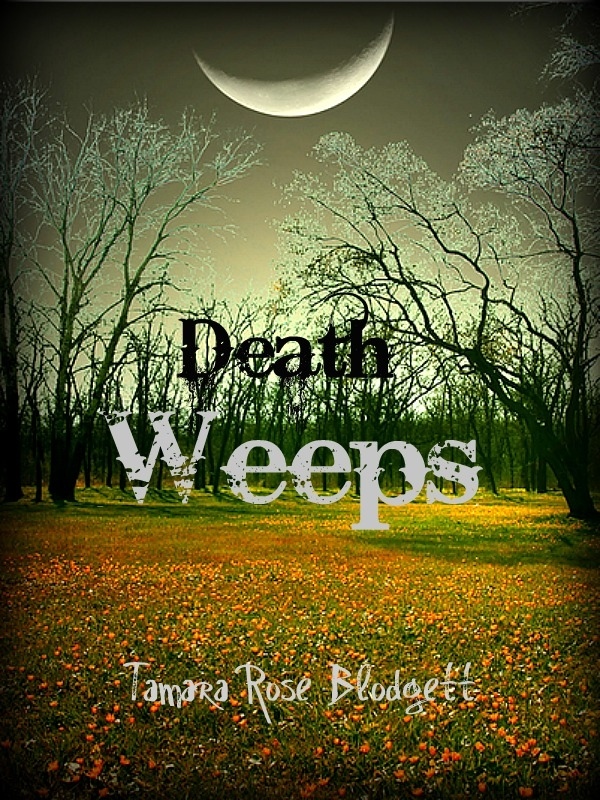 I recently read Indie author Tamara Rose Blodgett's paranormal YA novel "Death Whispers." It's unlike anything I've ever read and I was impressed with the realistic dialogue between her main character, a 13 year old boy, and his friends. I recommend this book to all teens, but especially boys (there is a link below to order from Amazon). 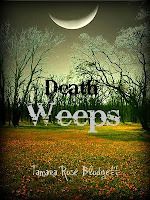 I spoke with Tamara about "Death Whispers," as well as other stuff. Natalie Wright (NW): In your novel "Death Whispers," a young adult novel in the paranormal genre, your protagonist Caleb Hart is a 14-year-old boy. What inspired you to write a male main character in the first person? Tamara Rose Blodgett (TRB): I was a little intimidated to try third [person] POV with my first novel. (Actually, “Bloodsingers,” is my first, but will publish in autumn.) Using a male protagonist was a slick choice for me as I am a mother of four sons...lol! My youngest is almost fifteen, so I felt pretty confident about delivering something realistic. To say the dialogue portions, “really flowed,” wouldn't cover it! I got over my intimidation and used third with, “The Pearl Savage.” I was excited to show four different POV's in that work. The narrative is not so intimate as first, but it lends a degree of depth that is difficult to obtain in first without effort. In my opinion, the novel predicates the POV. NW: It seems like most YA books in this paranormal genre have female main characters. What has been the reaction of readers to Caleb and his buddies, the "Js"? TRB: Readers are diggin' on the J's! Caleb wants to blend in so bad he can taste it. Readers have liked that Caleb's familial situation is a positive environment (also atypical in YA Lit), and root for him because he tries to do the right thing. Everyone seems really pleased with the dialogue and I'm super-happy about that! NW: I love your dialogue, especially the banter between Caleb and his friends Jonesy and John. Do you have any real life inspirations for your dialogue? NW: "Death Whispers" is set in the future and you introduce some interesting concepts. The gadget that intrigues me the most is the "pulse" phone where the characters don't have to dial a number or even touch the screen to get to the speed dials. They just think the person they want to speak to, the phone pulses them and then they proceed to carry on a conversation without speaking out loud - only through thought. What inspired you to create the pulse technology? TRB: Oh. This is where I'd like to sound really witty. Huh. Truthfully, the whole concept just came to me out of nowhere. I will say that teens use of cells had to be incorporated in the book because it's so critical in their social structure. I saw pulse tech. as the viral answer to cells in that era of the future. Once I understood where I was going with it, I did a couple days of research to get a feel for how viable it would read. Basically, in my thought process, it is a possible future...a viral future. It is a matter of time before brain signatures will be tracked, identified, monitored and incorporated into everyday life. That is how I see it. In book 2, pulse technology grows and becomes subtly more, and with it, the downfalls associated with its “completeness” are showcased as well. Nothing comes without price. NW: In "Death Whispers," the plot centers around a pharmaceutical invention that inoculates (not sure that's the right word for it) babies to turn on? or ramp up? their genes so that when they hit puberty (at approximately age 12-13), most kids get special abilities and they get expressed during this time. So you've got teenagers that are pyromancers and seers and of course necromancers - like your main character - and other abilities. TRB: I totally love genetics and know just enough to be dangerous! The premise revolves around the basis of humans having genetic markers and some having paranormal ones (all of those as different [potentially] as say...green eyes). The inoculation allows the markers potential to manifest. The pharmaceutical moguls were very focused on their profit margin; not on the consequence of what these powers would mean to the power structure between adults and teens. *Feeling very un-witty* again. The best way for me to describe this is: I get an idea. Then, I mull it over. At some point after the initial idea, I will get a second idea. They collide and mix together to make a story. The whole story forms in my head. Then! I must write as quickly as possible to get it all down. There is no “writer's block,” (thank you God). I sit down every day, (read the prior days 3K words) and the next scene is there for me to write. It's like the characters are alive and I just write down what they're doing/saying. It feels a little like cheating. I don't know how the process is for other authors at all. My “outline” is a 3x5 card with a few plot lines I need to remember to write about. One thing that I do keep is my character list and a few words after each one that identify them to me. That has been critically important. NW: In "Death Whispers," the main character talks about food a lot. Were you hungry when you wrote it? *chuckle* Seriously, some books are filled with descriptions of food, others don't mention it at all. Why was it important to you to describe and discuss food? NW: You self-published "Death Whispers" as well as "The Pearl Savage" (Book 1 of the Savage Series). What led you to self-publish? TRB: I did submit DW to a small list of agents and received mainly rejections but a couple of agents gave me suggestions and one agent said he'd look at the [full] manuscript after I revised it. That one comment gave me the confidence that (maybe) my story was good enough to go forward with on my own. The agents really liked the premise, they thought it was unique. But, in the end, I was like a lot of Indies. I saw the success of Hocking, McQuestion and Locke and thought, why not? I am so glad I did! The potential for people to enjoy your work, artistic control and most importantly, getting your book in the hands of your readers at your own pace is an absolute benefit as an Indie. Not so much with traditional publishing. Especially exciting for someone like myself, who can write a book every three months. Traditional publishing usually constrains that to a book per year! That used to drive me bananas waiting for the next release from my fave authors *rolls eyes*! NW: Have you seen any downsides or disadvantages to self-publishing? TRB: Editing. It is an absolute bear. It is very difficult to see your own mistakes and they're usually little things, which make it even harder. I am thankful when a reader mentions an issue, I can go right to my work and address it immediately. With “Death Speaks,” I was very fortunate to finally have three Betas to help with that common issue. It's critical that my reader receives the cleanest copy I am capable of. NW: What are the upsides of self-publishing for you? TRB: Like I touched on above: faster publication of novels, artistic latitude (I don't think I would have gotten away with my dialogue in the laundry wash of editors from the Big Six), and interacting with my readers. I love the relationships I've developed with other Indies too. They're a great lot! Oh! Better royalties! NW: Will you continue to self-publish, or are you still looking for a contract with a traditional publishing house? NW: Do you have a "day job" in addition to being a writer? TRB: No. I was a journalist for about four years, but gave that up almost three years ago. I have been writing fiction since 2007. I am very fortunate to have a husband who supports me 100%. NW: What do you like to do in your spare time when not writing books, blogging, tweeting, facebooking or otherwise managing your writer empire? 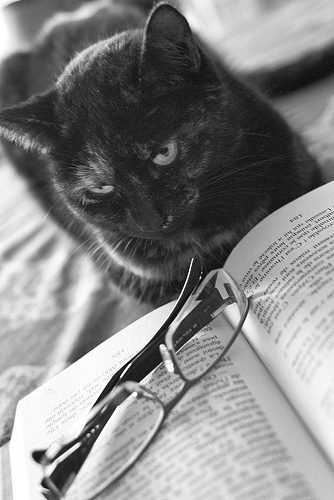 TRB: I am an avid reader and find myself only finishing about two books per week now that I am writing so much. I love to garden too and can be found doing that on every sunny day we have here in Alaska. (Yes, we have daylight for twenty hours right now; insane!). We (the fam) also watch episodes of whatever caustic show catches our fancy each Sunday night while porking through an embarrassing amount of treats. I usually do a fair amount of remodeling at different points of the year. I am an okay finish carpenter. NW: What are you working on now? 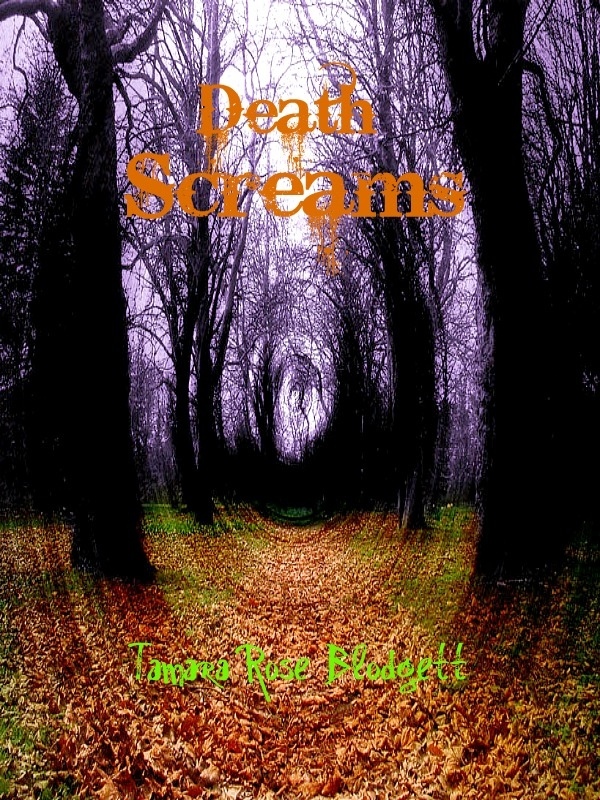 TRB: I am on final edits with “Death Speaks,” and it's in the hands of my wonderful Betas right now. As soon as DS publishes mid-month, I will begin a brutal revision on my first novel, “Bloodsingers.” I wrote that in 2007, then put the manuscript away. When I got the idea for the Death Series and finished both DW and TPS, I began plans to revise/edit “Bloodsingers.” I have a projected release of October but it may be earlier if I can get it put together sooner. “The Savage Blood,” (book 2) should be something I take up after “Bloodsingers.” However, if the characters press too firmly inside my head I will be compelled to begin writing that work at the same time I edit “Bloodsingers.” I am led about by a ring in my nose because of my own creative processes! Ugh! NW: When can we expect the next in the Death series? TRB: “Death Speaks,” is expected to publish on or about August 15, 2011. 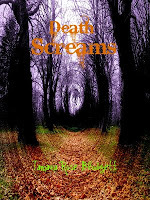 “Death Screams,” (Death Series, Book 3) is expected to publish late Dec/early January of this year. I foresee five titles total: “Death Weeps,” Book 4 and “Death Unrequited,” Book 5. Maybe “Death” will go beyond, but at this time, those are the books that I have plots for in my head. NW: Can you give us any hints about what's to come for Caleb? TRB: In book 2, “Death Speaks,” Caleb and his fellow AFTD, Tiff Weller, are named “consultants” for the local police in the hope of finding the killer of the innocents from book one. Everyone is in high school now and with that comes a greater sense of adulthood looming with regard to all aspects of maturation. The kids' relationships evolve and become more, new characters are introduced and loose ends to the minutest detail are wrapped up. There's [even] more of the following in book 2: romance, zombies, Onyx, Clyde, action, suspense and several new supporting characters are introduced. I notched up the comedy too. Tamara Rose Blodgett is a “thinking-out-of-the box” paranormal enthusiast who believes there's a 95% chance zombies do not exist; but loves to write as if they do. I'm from Alaska and have worked as an online journalist in the past. I enjoyed writing, Death Whispers, and am hard at work on book two, Death Speaks, (pub. Aug. 2011). My paranormal romance, The Pearl Savage, published on June 15. In my spare time I'm a [reluctant] serial-re-modeler, project-slave and big time, in-my-pants reader (surprise!). I do a great deal of day-dreaming about impossible scenarios and events, writing books to capture them in stories for you~ Side note: Gnomes should be exterminated.